When it comes to inventive musical cocktails, my musical adventures have provided me with more than a few. While most recipes find some ways of working and even seem obvious, every so often there will come a mixture that fails to be obvious but works amazingly well. Such is the case with blackgaze and synthwave. Both genres are seeing increasing popularity and retain incredibly strong identities in their own right. It is with these two genres that Abstract Void carves out their niche by blending the two styles with astonishingly cohesive results. Last year’s Into The Blue was the freshest sounding synthwave release I had heard in a very long time. The follow-up, Back To Reality, was released in late October of this year and showed some substantial growth in the merging of the two pillar genres from whence this act draws inspiration. This originality and high-level execution of said original idea make Abstract Void the perfect candidate to be a featured artist on our site. We love peeking into every corner of the musical space to find what is interesting and bring it to as many people as possible. The first release from this act was a personal favorite of mine (as well as the staff) from last year and it continues to get plays on my commute or any time I’m in the mood to be moody. The synthetic chirps and whines overlaid by impassioned blackgaze vocals and atmosphere is something really special. Back To Reality, the act’s most recent effort, shows progression in several ways. One of these ways is added emphasis on the storytelling and narrative aspects of their sound. This time around, there is only one instrumental track which closes out the record, while the other six tracks focus on expression through emotive vocals. As a whole, Back To Reality is a more dynamic album with higher highs and lower lows, creating a rich listening experience from start to finish. The combination of styles is smoothed out a bit more gracefully and, in fact, forms an incredibly strong identity on its own merits. I was able to virtually sit down with the mastermind behind Abstract Void (who shall remain anonymous) and dig into what drives them to create these fresh new sounds and where they see the project going from here. Thanks for checking out this article and interview! This artist is doing some genuinely interesting and unique things and deserve to be piped into your ears! Be sure to give them a like and a follow over on Facebook and you pick up all of their releases over on Bandcamp, including some physical editions! 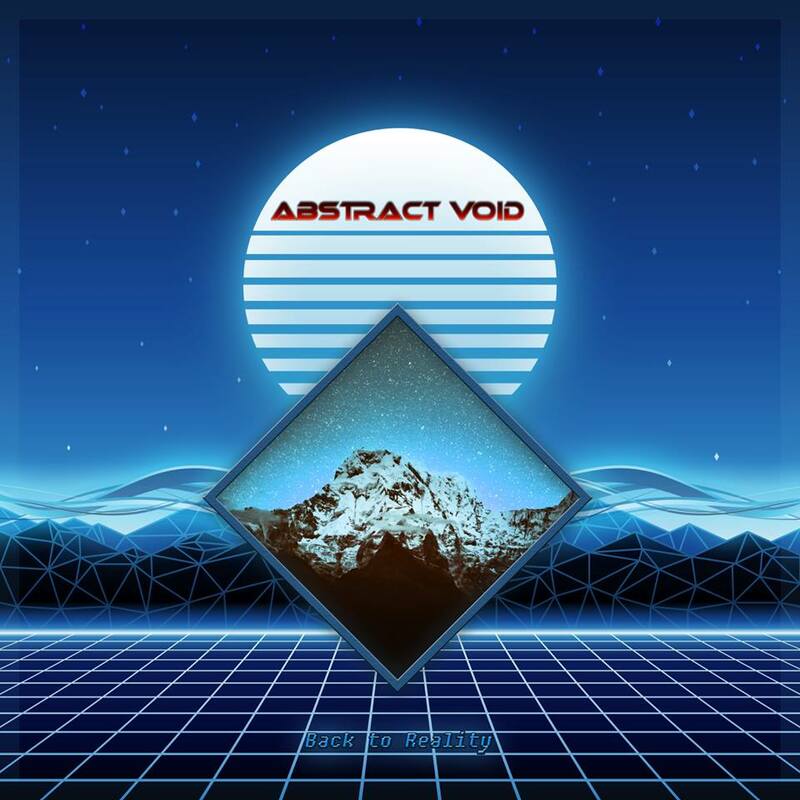 You can also find Abstract Void‘s music on iTunes and Spotify! Previous PostUnreqvited - "Mosaic I: L'amour Et L'ardeur"
Next PostThe Algorithm - "Compiler Optimization Techniques"